Libya: The Humanitarian War. There is no evidence. This document makes it possible to understand how international law and justice works, but mostly how its basic principles can be bypassed. The resolutions passed against Lybia are based on various allegations : notably on the statement claiming that Gaddafi had carried out jet attacks on his own people and engaged in a violent repression against an uprising, killing more than 6000 civilians. These allegations were spread before they could have been verified. Even though it was on the basis of this claim that the Lybian Jamahiriya government was suspended from the United Nations Human Rights Council, before being referred to the United Nations Security Council. 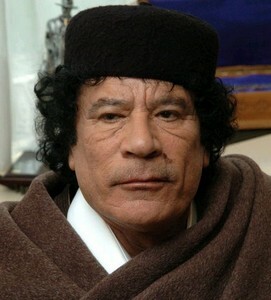 One of the main sources for the claim that Gaddafi was killing his own people is the Libyan League for Human Rights (LLHR), an organisation linked to the International Federation of Human Rights (FIDH). On the 21st of February 2011, the General-Secretary of the LLHR, Dr. Sliman Bouchuiguir, initiated a petition in collaboration with the organisation UN Watch and the National Endowment for Democracy. This petition was signed by more than 70 NGOs. Then a few days later, on the 25th of February, Dr. Sliman Bouchuiguir went to U.N. Human Rights Council in order to expose the allegations concerning the crimes of Gaddafi’s government. In July 2011 we went to Geneva to interview Dr. Sliman Bouchuiguir.